I’m going to try my best this week to bring you some books that capture America’s social situation. What does that mean? I’m not sure, but let’s read together this week, and maybe by next Sunday night, we will have a better understanding and maybe even a Twitter chat if you all want. I’ve been working with my students on word economy. This post will be to the point. 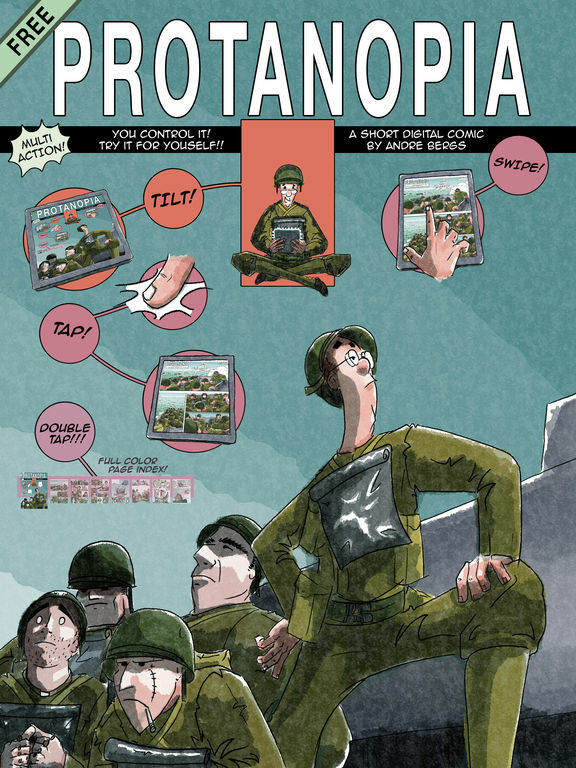 Protanopia is a short digital comic available for free download at the app store. 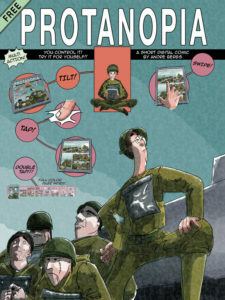 Fits this week’s theme: contains unique perspective on how we view war and conflict. The comic is about 10 pages long, and I’d suggest reading it one panel at a time; it will surprise you. The comic is also in a 3-D of sorts with the items on the screen moving as you turn and manipulate the actual orientation of the screen. Since it’s free, I suggest getting some friends together, reading it, and engaging in some good old conversation about the themes and situations present.